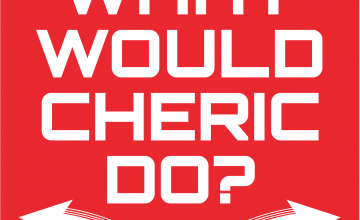 February | 2019 | What Would Cheric Do? We’ve just graduated from Space Acadamy and are eager to go on our first ever mission. However, once we learn that it is to try and be the first man to pass into and possibly through a Black Hole we have…well…some concerns one might say. Tune into this week’s episode to see if this scientific theory actually pans out! Deep in the mountains of Romania, we find ourselves on a train whirling down the winding tracks with Mrs. West and Nina, her niece, on our way to meet our Uncle and once and for all prove the existence of Vampires! We only have to watch Mrs. West, her mystical necklace, and a mysterious painting until we arrive at our Uncle’s house. What could possibly go wrong? Tune in to find out.